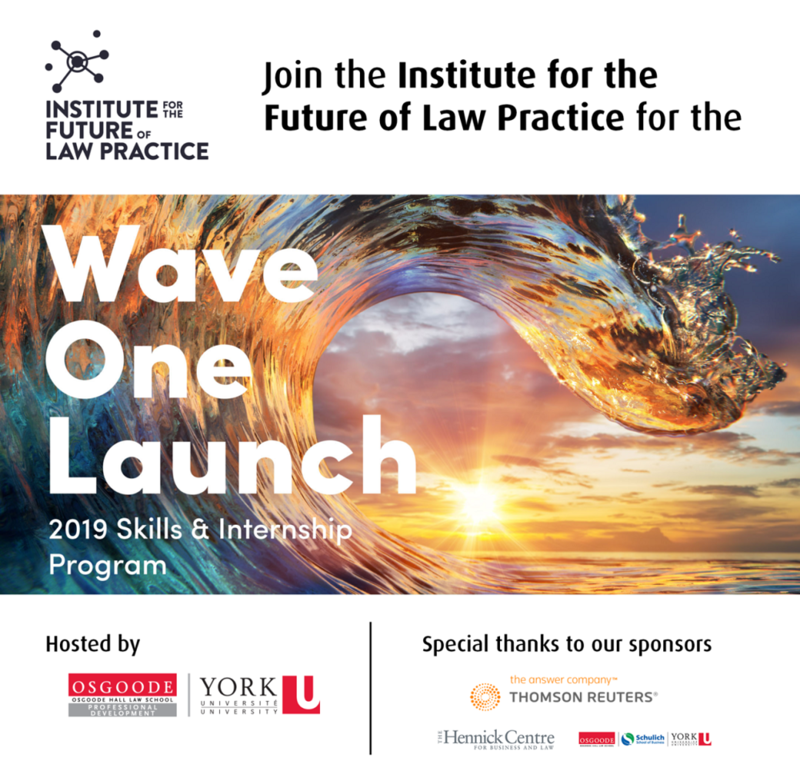 Please join us for the Toronto launch of IFLP’s 2019 Skills & Internship Program. Learn how the Institute for the Future of Law Practice is working with innovative legal services employers to teach foundational skills in the business of law, project management and process optimization, legal technologies, and data analytics. Innovation trailblazers including: Monica Goyal, Osgoode Hall Law School; Mark LeBlanc, General Counsel, TVO; Fernando Garcia, VP Legal, Cargojet; Carla Swansburg, VP & General Manager, Epiq; Jordan Furlong, Principal, Law21; Jason Moyse, Lawmade & Elevate Services. IFLP is growing in 2019. Join us to learn more about how you can get involved. Reception to follow. Space is limited. Reserve your spot today.